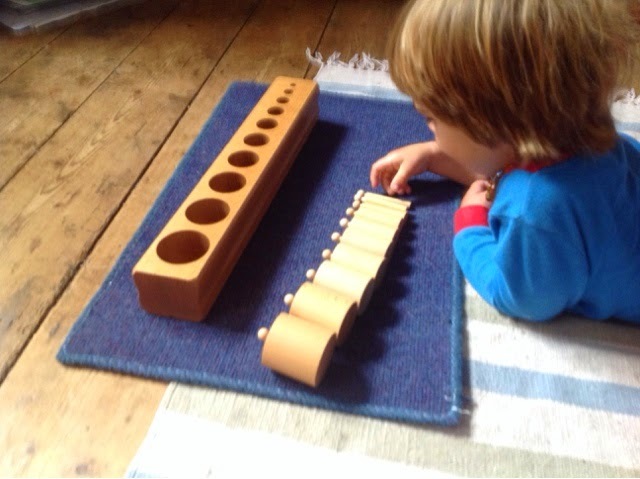 Rogue loves working with the cylinder block 1, he does it several times a day. 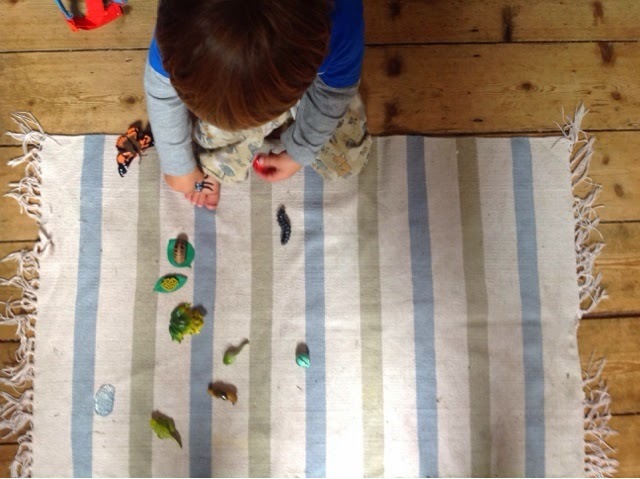 Every time I show it to him, I show him how to get the pieces out and put them down In a random order on the mat, and he watches carefully, even nodding to himself, and then when he gets them out, every single time he lines them up in order! 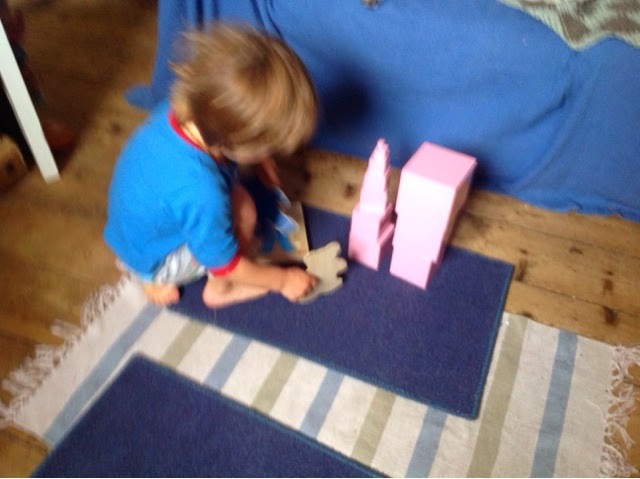 The next photo is blurry but I just had to show the funny way he built the pink tower, and that he always has to get the bears out of his puzzle to come and climb the tower! 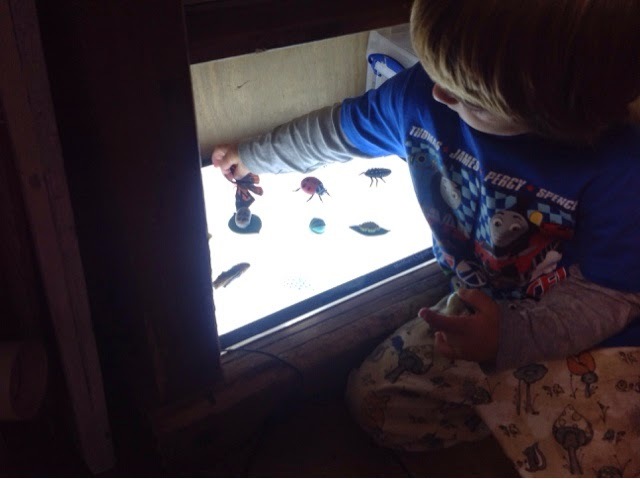 Rogue spent a long time exploring some lifecycle figures, lifecycles of a frog, a butterfly and a ladybird. 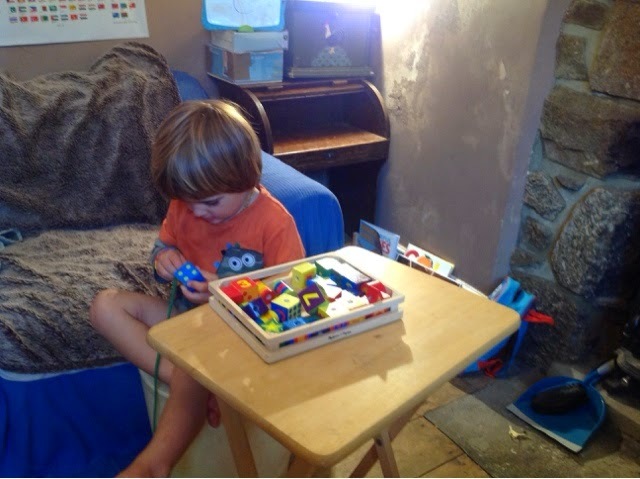 We talked a little bit about what goes with what and what comes next but mostly he just played with them, including on the light pad which was lots of fun. Just before bedtime I discovered he had sneaked back in to the school room to do some lacing!